Fixed-Fee Please. If Not, Raise Your Rates! For clients who sell services, I always strongly recommend fixed-fee pricing wherever possible as long as you can properly scope the work. 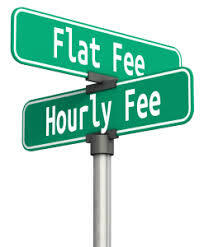 In my experience, a fixed-fee pricing model generally results in higher profitability. Customers readily compare your hourly rate to competitors even when they are slower and worse. Customers weird out about your hourly rate. They start comparing it to what they pay their attorney or CPA or what they made at McDonald’s when they were 16 years old and it just seems too high to them, no matter how much it is. Customers get very ticky tacky about time tracking. They’ll remind you the first 15 minutes of Tuesday’s phone call you spent talking about their trip to Tahoe, not the project. Customers suddenly believe they are experts in what it takes to produce your services. They will find the activities which are time consuming on the invoice and ask about cutting back on those. Customers are not experts at what it takes to bake your cake. YOU are the experts. They don’t know how many eggs. They don’t know how much sugar. They don’t know how long it needs to bake. Get them out of your kitchen! Tracking time for internal and external reporting can be time-consuming and frustrating. Communicating specific hourly rates makes it harder to change pricing over time with repeat customers. Most of all, the faster and more efficient you are, the less money you make. This makes no sense. I will reiterate that building pricing on fixed-fee relies on the ability to properly scope the work to ensure you will be effective and profitable in the project. Some clients have created a discovery phase billed hourly (or even free) to allow them to correctly scope the project under a (more profitable) fixed-fee model. Further, you must have a mechanism to limit scope creep, identify scope change, and generate change orders. If initial scoping and/or scope management are problematic, billing hourly may still be your best bet. If so, raise your rates. If you did it recently, do it again. The labor market is crazy tight. No one can hire enough good talent fast enough. You know how hard it is to find. This is an extraordinarily good time to ride that tide and increase your rates. Great post! Very applicable to my world of contract furniture. Thanks for the great content!